Plot Synopsis: When a prominent politician and a beautiful young woman (SHARON GURNEY) vanish inside a London subway station, Scotland Yard’s Inspector Calhoun (DONALD PLEASENCE) investigates and makes a horrifying discovery. Not only did a group of 19th century tunnel workers survive a cave-in, but they lived for years in a secret underground enclave by consuming the flesh of their own dead. Now the lone descendant of this grisly tribe has surfaced, prowling the streets of fresh victims… and a new mate. 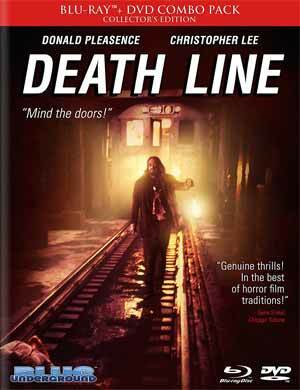 Quick Hit Review: Being I’m not a big horror fan, although I do enjoy the occasional slasher like Friday the 13th or Halloween, I had never really heard of Death Line released stateside in edited form as Raw Meat. However, my interest was piqued as the film stars Donald Pleasance, of the aforementioned Halloween, and Christopher Lee. Well, Pleasance certainly delivered in an over-the-top but rather fun performance while Lee has maybe 5-minutes of screen-time as an MI-5 operative. Outside of Pleasance, there’s really not that much that stands out; the horror isn’t very scary and the other actors don’t exactly deliver compelling performances. Add to that a thin plot and short running time (87 minutes), and Death Line might’ve sounded great on paper but in practice felt like a hackneyed script… even by 1970s indie horror standards. This release includes a 16-page booklet containing articles, essays and production stills. Audio Commentary – Co-Writer/Director Gary Sherman, Producer Paul Maslansky and Assistant Director Lewis More O’Farrall sit down for a lively and all around interesting conversation providing some anecdotal stories and working with the various actors. Moderated by David Gregory. Tales from the Tube (18:51; HD) is an interview with Co-Writer/Director Gary Sherman and Executive Producers Jay Kanter and Alan Ladd Jr.
From the Depths (12:41; HD) – Actor David Ladd and Producer Paul Laslansky are interviewed as they discuss their contributions to the project. 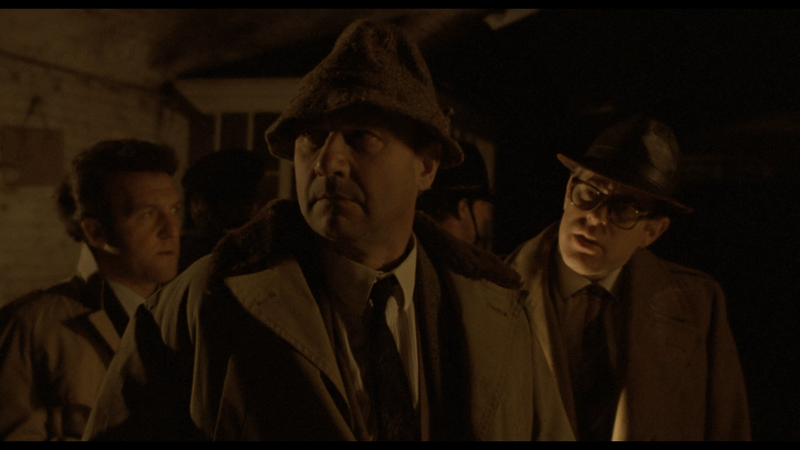 Mind the Doors (15:36; HD) – Actor Hugh Armstrong, who played “The Man”, chats about his work on the film. 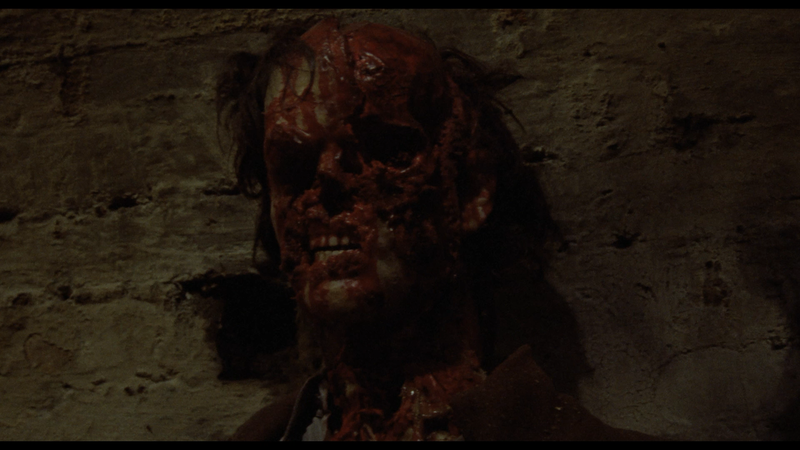 Also included: Trailers for Death Line and Raw Meat; TV Spots, Radio Spots and a Poster & Still Gallery. 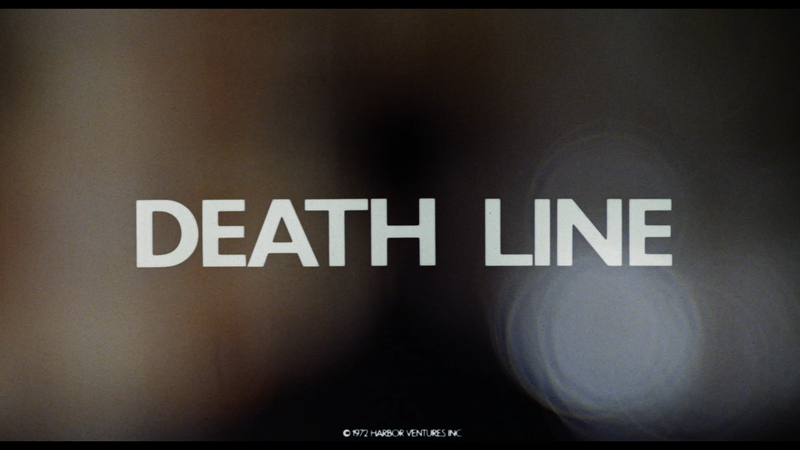 Blue Underground releases Death Line, unedited, and is presented with a 1.85 widescreen aspect ratio and a 1080p high-definition transfer. The picture looks pretty good given the low budget nature and for a movie now 44 years old; colors generally look natural looking and detail, especially close-ups, is nicely defined and fairly sharp. There are fine amounts of natural film grain and I did notice some very minor dust marks, but otherwise it’s a fine transfer. The disc is accompanied with a DTS-HD Master Audio Mono track. For the most part it sounds good though some dialogue scenes had a hollow sound to them, though this isn’t a fault with the transfer but instead poor sound design on location. Depth is lacking but as with the picture, not sure what you would expect. Overall, Death Line was a bit of a disappointment for me with a story that somehow felt incomplete and characters, outside of Pleasence, not really making an impact. 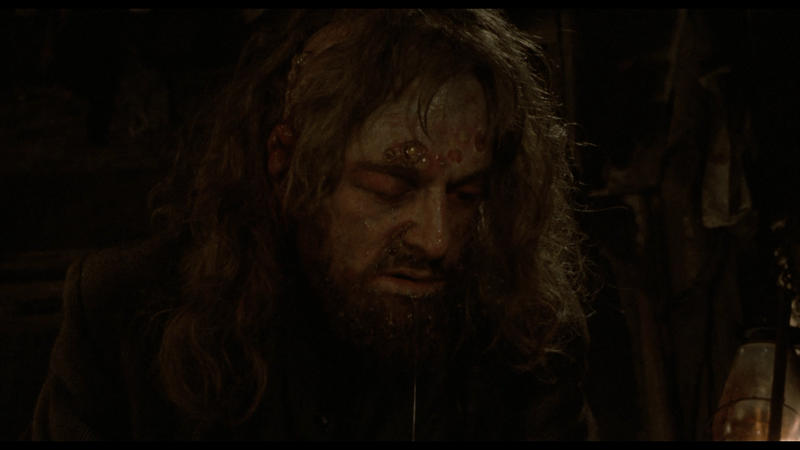 Still, there are some entertaining aspects and Donald Pleasence did seem like he was having a good old time, a departure from his more stoic/serious role of Dr. Loomis that would come a few years later. This release by Blue Underground offers good video/audio transfers and a nice selection of bonus materials.